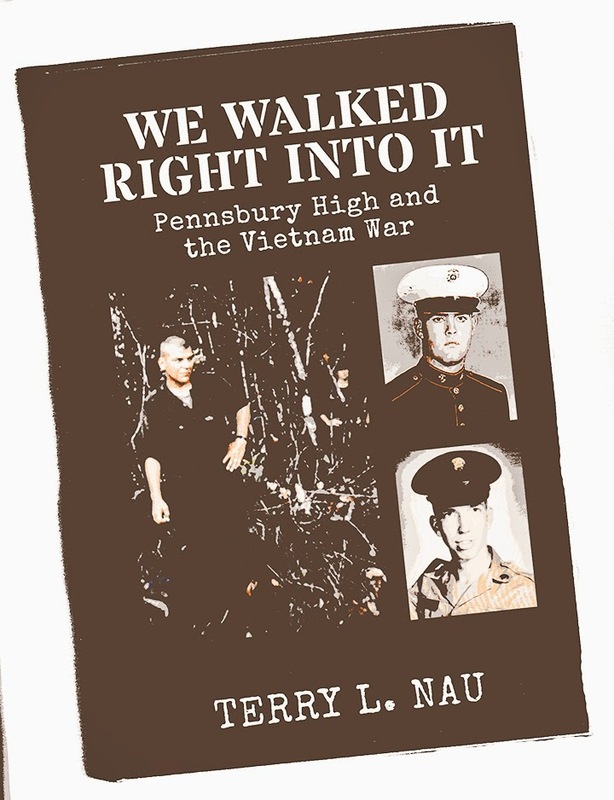 We Walked Right Into It: Pennsbury High and the Vietnam War, by Terry L. Nau. 242 pp. This is Terry Nau’s second book about Vietnam, the first being a personal memoir of not just his service in Vietnam, but his life before and after. He titled that one Reluctant Soldier...Proud Veteran: How a cynical Vietnam vet learned to take pride in his service to the USA. In his second book, which was inspired by his oncoming 50th high school reunion, Nau tells the story of 15 classmates who served—and died—in the Vietnam War. For good measure, he’s also tracked down 25 survivors, and their stories appear here, too. You probably don’t know anyone in the book (I’ve known the author since the mid-1970s when he was cynical), but if you’re between the ages of, say, 60 and 80, you know their stories. There are the enlistees and the draftees, the parents who lost their only son, the young wives who became widows, children who never knew their father, the subsequent medical problems (remember Agent Orange? ), the survivors, some of whom were reluctant to talk in detail and others who ignored Nau’s request for information. Nau gets the book’s title from one of the survivors who, surprised by the high number of deaths from Pennsbury High, says: “We walked right into it, I guess.” Of course, with the benefit of hindsight, many in the United States, veteran and civilian alike, would probably say that today. I served in the Navy from 1963-67 and the closest I got to Vietnam was working with some Marines who were about to be shipped there. As he did with his first book, this one is also self-published. As a shameless self-publisher myself, I’m only too glad to promote the act—and the art. A lot of good stories would never get told if we had to rely on profit-making publishers (who do fill a niche). The only zinger from me is the book’s lack of an index. I wanted to review some stories and I could recall names, but without an index, I couldn’t locate the people. So for all you self-publishers out there, there are people who can help you format your manuscript, including an index. Use them.